Nowhere has the automobile had a more pronounced impact on a culture than in the mecca that has become a car collector’s paradise – Southern California. Customized lowriders and hot rods have become an integral part of the SoCal streetscape, made famous by the richly diverse Latino communities in and around Los Angeles. The Petersen Automotive Museum — one of the largest and most respected automotive museums in the world — is bringing a sampling of these unique vehicles from its curated collection to showcase at the Canadian International AutoShow in February. 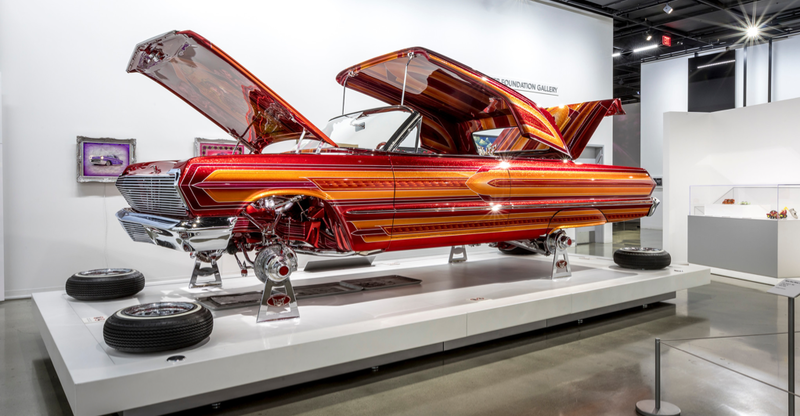 The exhibit will feature six vehicles from the Petersen collection: famous celebrity cars, lowriders and hot rods that were inspired and created on the streets of L.A. Among the cars coming to Toronto are a 1900 Overland custom covered wagon that was a gag gift from Bob Hope to John Wayne and a car that once belonged to the royal motor pool in British India before being subsequently purchased by music icon Elton John. The 2019 Canadian International AutoShow takes place February 15th to 24th at the Metro Toronto Convention Centre. For tickets and show information, please visit autoshow.ca.